Volpara Health Technologies, the Wellington-based, ASX-listed digital health company, narrowed its annual loss and said year-on-year growth, in terms of total contract value, continues to accelerate. Volpara reported a net loss of $9.6 million in year to March 31 versus $30.4m in the prior year or a loss of 7 cents per share versus a loss of $1.08 per share, it said. The prior year's result was impacted by a $24.6 loss on fair value revaluation of convertible preference shares. The company, which is focused on early detection of breast cancer, said it began the 2018 financial year with an annual recurring revenue, or ARR, of $1.1m versus $160,000 at the beginning of the prior year. ARR is the contracted revenue expected to be booked over the next 12 months from current contracts alone. This year, it expects strong annual recurring revenue growth in excess of 200 per cent. Its total contract value, which includes capital sales, service maintenance agreements and Software-as-a-Service contracts, was $4.1m in the year to March 31, up from $2.8m in the prior year, the company said. The move to a SaaS revenue model and the cloud has been "well received" by customers, it said, noting that since the first sale of its VolparaEnterprise software less than a year ago its customers have processed more than 530,000 images using the software and the numbers continue to grow. 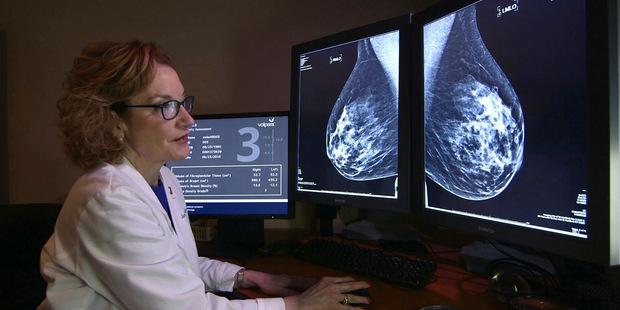 In the US alone it captured around 1 per cent of women screened annually, or some 400,000 women, and by the end of the current financial year it expects that will increase to 3 per cent. However, revenues lagged its contracted sales, it said. Revenue and grant income was $2m, down from $2.6m in the prior year. Operating expenses were $10.9m versus $6.5m in the prior 12 months. Product development expenditure increased due to investment in cloud infrastructure and the VolparaEnterprise software. "During FY17 we made essential investments in our product offering and team, which will provide the platform for future growth," said chief executive Ralph Highnam. Volpara first listed on the ASX in April last year, having raised about A$10m (NZ$10.5m) selling shares at 50 Australian cents each. It raised a further A$10m at 60 Australian cents a share late last year. It currently has a cash position - including cash, cash equivalents and cash on deposit - of $12.9m. The shares fell 2.8 per cent to 35 Australian cents, having dropped 43 per cent so far this year.